Stop me if you’ve heard this one before: Nintendo is about to offer a lower-tech version of something other gaming companies are doing, but with a clever, inspired twist. It’s doing it this time with its entry into the world of virtual reality gaming—assuming Virtual Boy doesn’t count, I mean. 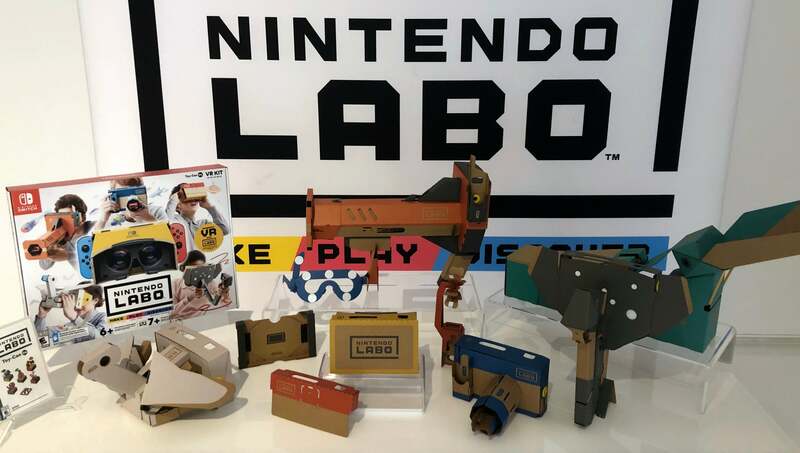 Nintendo Labo VR Kit, to be released April 12, is a collection of virtual reality gaming experiences that combine basic VR gaming with the company’s Labo line of player-folded cardboard Nintendo Switch peripherals. One of those peripherals in particular, a “wind pedal,” has that trademark Nintendo magic—it blows gusts of wind at the player during VR games that involve flying and leaping, which surprisingly heightens the “reality” of the experience. I tried several of the Kit’s main VR experiences in a demo showcase in New York City earlier this week, and that pedal left the best lasting impression. Nintendo Labo VR Kit will cost $112, with a $56 version being offered for people who only want a cardboard blaster gun and not the other gizmos (which will also be sold separately). A Nintendo rep told me that the VR games can be played in non-VR if players choose. And this kit, like the previous ones, comes with a suite of custom programming tools that will allow users to tweak and make their own games, too. The VR kit includes nine main games that feature such activities as taking pictures of fish underwater, shooting aliens invading a city, making three-dimensional paintings in mid-air, flying around as a bird, and your Kotaku writer’s favourite: being a frog who has to jump onto stacks of balls, trying to leap ever higher in the hopes of reaching outer space. For all the games, users slip the Nintendo Switch’s main unit into a set of goggles that are made of a plastic frame that contains two lenses and a cardboard shell that holds it all together. Those goggles can be used on their own for some of the kit’s VR games. For others, you’ll place them into custom cardboard shells that resemble a camera, an elephant’s face (with articulated trunk), a bird or a blaster. As with Nintendo’s previous Labo releases, the screen and sensors in the main Switch unit and its Joy-Con controllers are cleverly used to make these cardboard contraptions functional. Because these games are in VR, a player will, say, slide the Switch into the camera shell and then be able to rotate the camera lens to have the experience of virtually zooming in and out. For the blaster Labo shell, players are looking into a little virtual city beset with aliens, but, physically, players are cocking the gun and pulling a cardboard trigger to shoot. 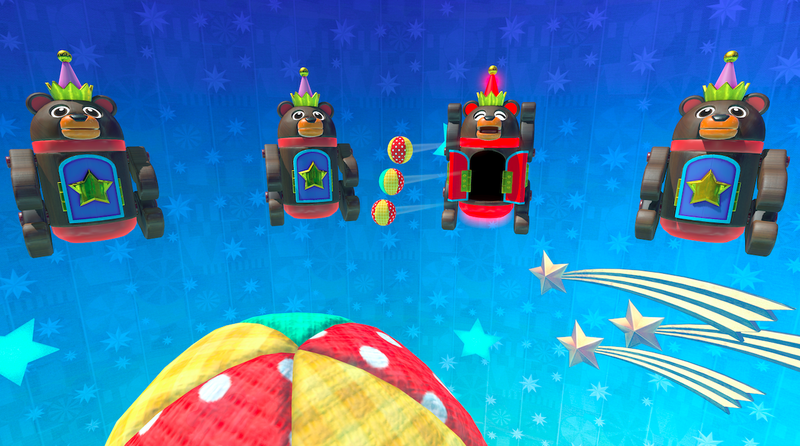 The cardboard bird shell used for the flying games has a bird beak and wings the player flaps with their fingers. Labo builds tend to be ingenious in how they turn sheets of perforated cardboard into complex gizmos with moving, clicking, rotating parts full of switches and levers that all somehow trigger changes in the virtual worlds displayed on the Switch’s screen. The height of that ingenuity was that wind pedal, which was used in the bird games and in the frog-leaping game that I liked so much. In the frog-leaping game, I saw the action through the goggles on my face but I had to press down on the wind pedal with my foot in order to make the frog jump. Each time I did this, the pedal’s protruding flap wafted a strong puff of air all over me. It created the sensory illusion that I really was suddenly, rapidly, leaping through the air, complementing what I was seeing in the VR goggles perfectly. Nintendo Labo VR Kit would be far from the first gaming experience to involve a wind machine, but I’m pretty sure it’s the first to offer such a sensation using a cardboard pedal. It’s a little thing, but the best little Nintendo things are my favourite reasons to play the company’s games. I tried several of the Kit’s main VR experiences at the showcase and was pleased but otherwise not yet blown away. None of the games are impressive graphically and the offerings are, like last fall’s Labo Vehicle kit, set in some disappointingly generic worlds. The lack of seeing the camera used to, say, offer a VR Pokémon Snap or a VR version of Super Mario Bros. 3 is a shame. Perhaps it’s at least a good thing that the simpler aesthetics of the Switch games at least don’t require the Switch to do more than it can. After all, VR is a highly demanding technology that requires processing power to be prioritised for framerate and minimal latency, so as to ensure users don’t get nauseous. Graphical complexity and beauty come second. The Switch isn’t close to the level of power of the high-end PCs that run the most impressive virtual reality tech through Oculus Rift or HTC Vive goggles. It’s more in line with cell phones, which provide more primitive, if still potentially enjoyable, VR experiences. The graphics are simple, and the actions in these virtual worlds are too. The games generally felt good, and I was into them enough that I’d want to try them all more. I’m intrigued by a set of 64 tiny games that are included in the Kit’s “VR plaza.” These included a very basic VR platformer and possibly some other experiments that could hint at what Nintendo’s designers could do with VR. Nintendo’s dive into VR is interesting, because it’s always interesting to see the company dabble with new kinds of play. The VR Kit doesn’t immediately show that one of the world’s top game studios has figured out something new with VR, but it did show, at first gust, that they are at the very least figuring out more and more clever things to do with cardboard. I find it somewhat hilarious that you've got all these fancy looking gidgets and gazmos when the whole time you'll just be staring at a screen a few inches in front of your face. Labo is 100% not for me, but I love that it exists, and I'm glad Nintendo is continuing to support the concept after the initial run. If Sony, or especially Microsoft tried to release something as awful as Labo they'd just about be laughed off the internet. Gusts of air! WOW! But its Nintendo so games media gotta take it easy. 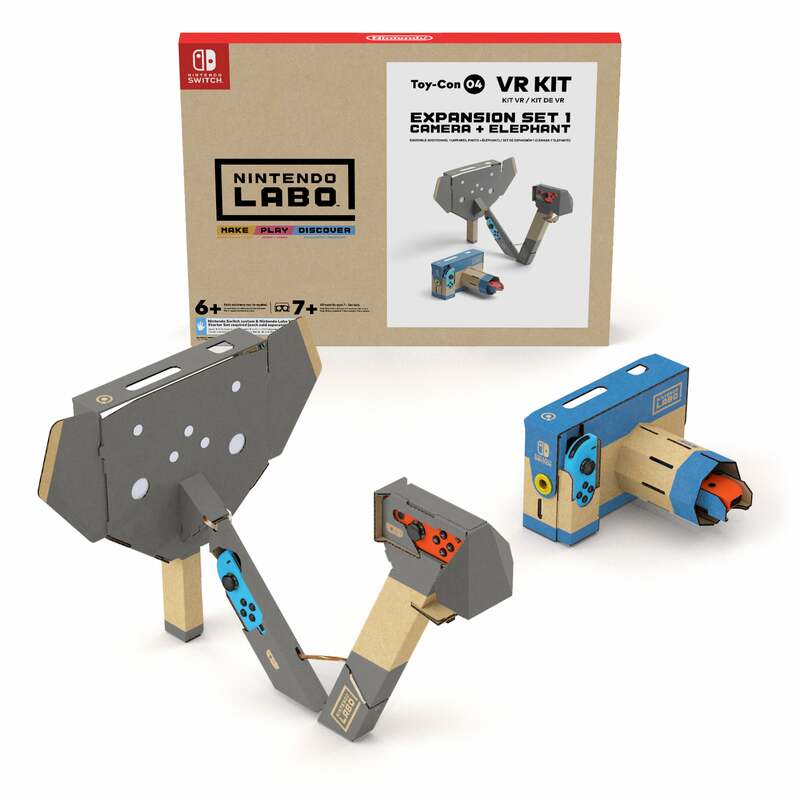 I'm not going to lie about this Nintendo Labo VR Kit this is obviously for children I just wish you would stop bringing us Labo already Nintendo. I'm sorry Nintendo children are more interested in playing Epic Games Fornite or even Mojang's Minecraft they're not going to go playing around with goddamn cardboard I mean this is just ridiculous and absolutely stupid. There is no way you're not going to succeed against all the other VR headsets Nintendo. I swear to god Nintendo your Labo VR Kit is not going to succeed against all the other VR headsets.